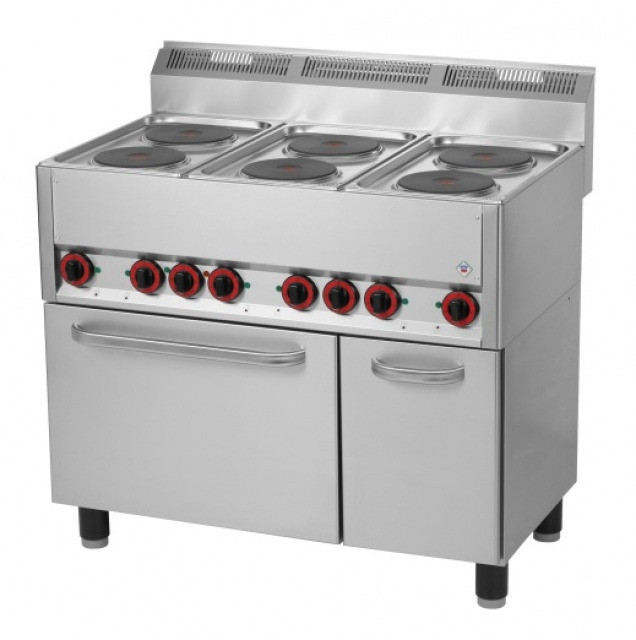 Electric range with internal thermic protection, 6-level control. Convection oven - capacity: 4 x GN 1/1, oven grid GN 1/1 included. Storage cabinet.